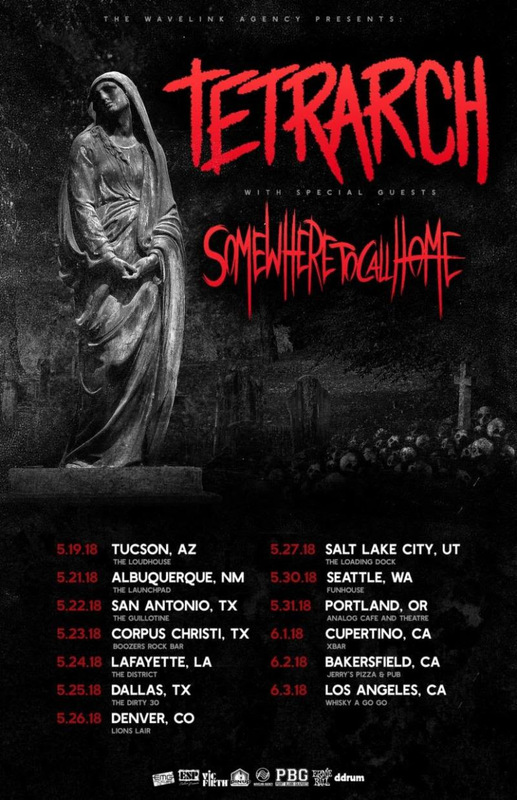 TETRARCH is thrilled to announce their upcoming headline tour with support from Somewhere to Call Home, beginning May 19th in Tucson, AZ and coming to an end in Los Angeles, CA on June 3th 2018. Check out the dates below. Guitarist Diamond Rowe says: "We are very excited to be hitting the road this spring. We will be doing a short little headlining run with our dudes in Somewhere to Call Home - a cool up-and-coming band from Albany, NY. 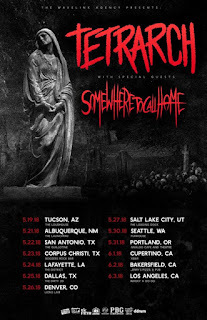 We are going to be hitting a lot of new places on this tour that we haven't touched on in the past or on the DevilDriver tour at the end of last year, so we are excited to see and meet a lot of brand new people as well as play some songs from the record that we have never played live before!"